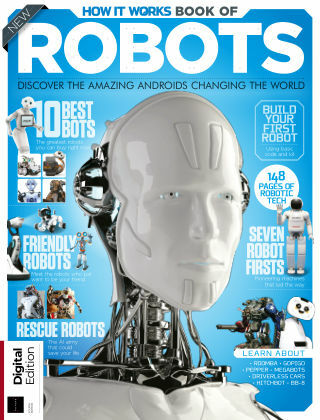 With Readly you can read How It Works Book Of Robots and thousands of other magazines on your tablet and smartphone. Get access to all with just one subscription. New releases and back issues – all included. As machines perform more and more functions than we ever imagined, they become ever more present in our lives. In this book, you’ll trace the history of the first robots and discover the best bots that you can own, right now. You’ll also learn how to make your very own robot, using a simple Raspberry Pi kit and some code. Featuring: Humans & Robots - How do we interact with these machines and how will they affect our lives in the future? Next-gen robots - Discover what's next for cutting-edge robot technology, from exo suits to megabots. 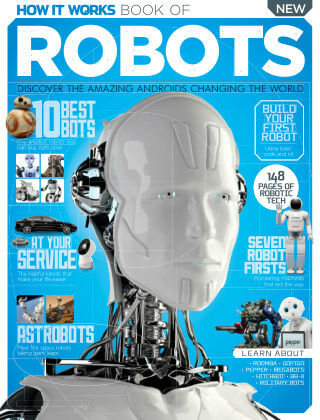 Everyday robots - Find out what keeps driverless roads on the road and how your home can become automated. Building robots - Use your Raspberry Pi and some basic kit to build your own robots.